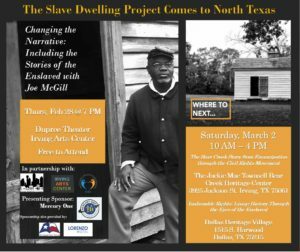 Join Dallas Truth, Racial Healing & Transformation for the release of our Community Visioning Report, a book talk and conversation with Dr. Eve L. Ewing, and an unveiling of Dallas TRHT 2.0! Dallas TRHT will discuss our investigation of the historical attitudes, policies and practices of The City of Dallas and its residents towards race and place, and explore the start of a shared community vision of Dallas without racism. We will be joined by Dr. Eve L. Ewing, who will share insight into how racism in education and housing policies in Chicago led to the largest mass school closing in the history of American public schooling, and will have a conversation with Jerry Hawkins, Dallas TRHT Director, contrasting public policy and attitudes towards race in Dallas and Chicago. Dr. Eve L. Ewing is a sociologist of education whose research is focused on racism, social inequality, and urban policy, and the impact of these forces on American public schools and the lives of young people. She is an Assistant Professor at the University of Chicago School of Social Service Administration. Her book Ghosts in the Schoolyard: Racism and School Closings on Chicago’s South Side (University of Chicago Press, October 2018) explores the relationship between the closing of public schools and the structural history of race and racism in Chicago’s Bronzeville community. Her work has been published in many venues, including The New Yorker, The New York Times, The Atlantic, and The Washington Post. Eve is also an accomplished poet and currently writes for Marvel Comics.